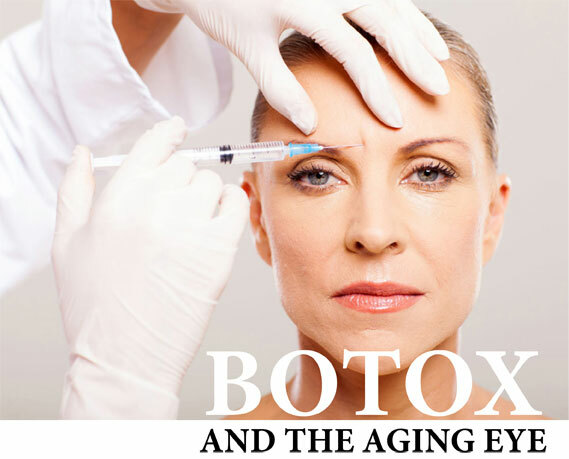 While Botox is often thought of as a recent development in medical technology, it has been in use in the ophthalmologist’s office since the late 1980s. Though it was first used in the treatment of certain eye ailments, Botox is now widely recognized as the remedy of choice in eye rejuvenation. The U.S. Food and Drug Administration (FDA) approved Botox for this purpose in April 2002 and today, ophthalmologists can use the drug to safely remove years from one’s age almost instantly. Botox is derived from a toxin produced by the baceterium Clostridium botulinum. In large amounts, botulinum can cause botulism, one of whose complications is muscle paralysis. Though botulism is often associated with food poisoning, thanks to the marvels of medical research scientists have discovered how to wield the toxin produced by this bacterium as well as its side effect for safe use in treating a variety of ailments. In small, diluted quantities, the toxin can be injected directly into certain muscles, causing them to weaken in a controlled manner. For two decades, Botox has been administered for the treatment of various muscle-related eye issues. The toxin produced by Clostridium botulinum results in paralysis of muscle tissue by preventing neural impulses from sending signals to the muscles responsible for their movement. Over time, the nerves gradually regain the ability to signal the muscles, a process that takes place over a period of several months. Botox, a mitigated form of the toxin, has safely been used for its efficacy in relaxing or paralyzing muscles affected by certain eye conditions. Among them, strabismus or heterotropia (commonly referred to as lazy eye or cross-eye) was one of the earliest disorders known to respond well to Botox therapy. Strabismus causes one eye to look inward or outward, resulting in difficulty with depth perception, vision loss and diplopia (double vision). Each eye contains six muscles, two of which control their side-to-side movement. These two muscles work together in a counter-balance to maintain the correct alignment of one’s gaze. When one of the muscles becomes weak, the other will pull the eye in the opposite direction, resulting in the cross-eyed effect observed in eyes with strabismus. Ophthalmologists inject the stronger of the two muscles with Botox, thus relaxing it and allowing the weaker muscle to regain its strength. Botox has also been successfully used in the treatment of an affliction known as blepharospasm (eyelid-spasm or uncontrolled blinking). Though Botox therapy does not cure these illnesses, it allows individuals a much-improved quality of life, requiring injections only once every several months for maintenance. In addition to treating a number of ophthalmic ailments, Botox is also highly effective in the cosmetic realm. The eyes are among our most prominent facial features and the periorbital area, or the skin around the eyes, attracts a great deal of attention. Unfortunately, it is comprised of very delicate skin, and as a result, is highly susceptible to signs of aging such as wrinkles. Wrinkles are folds, creases or ridges in the skin, and an inevitable part of growing older. Our first wrinkles often result from our facial expressions. Factors such as smoking and sun damage also play a role in how we wrinkle. As the skin ages, it loses moisture, gradually becoming thinner and less elastic. In the delicate skin of the periorbital area, visible signs such as crow’s feet are often very prominent. Botox has proven effective in the treatment of both crow’s feet and glabellar lines (also known as frown lines). Botox prevents muscle contraction. Muscles injected with Botox will relax, resulting in the softening of wrinkles. Patients can expect to see results from Botox therapy in as little as two to four days. The effects of one treatment can last between four and six months. Though Botox is not a permanent cure, wrinkles, maintenance injections every six months result in the gradual delay of wrinkle formation. With each treatment, the wrinkles return with less severity because the muscles become accustomed to a state of relaxation. Botox has made it possible to reduce visible signs of aging without undergoing anaesthesia, or lifestyle-altering recovery periods.